The Elementary and Secondary Education Act was reauthorized by Congress at the end of 2015 as the Every Student Succeeds Act (ESSA, P.L. 114-95). In addition to providing resources, the policy approach of this major federal education law is to give state and local education agencies significant flexibility, much more than was allowed under the previous iteration of the law, No Child Left Behind. Everybody agrees that the ESSA shifts significant discretion to states and districts, and while that shift may present some challenges, it also presents opportunities. ESSA provides an open door for states to expand early learning opportunities. ESSA’s flexibility means that state and local ESSA approaches will occur in the context of the particular needs in each state and local community. State and local readiness and willingness is an important aspect of maximizing opportunity for early learning in ESSA. But because the law does not mandate any early learning spending, state and local leaders interested in seeing ESSA support early learning will need to work hard to make sure that it does so. While early childhood education (ECE) has always been a part of the federal education law, the reality is that minimal federal education dollars have historically been invested in early learning services. The new law both strengthens and expands allowable uses for early learning, birth through third grade. As with the previous version, it remains up to state and local authorities to decide whether to invest. 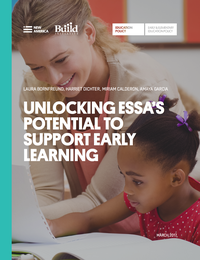 In this report, the authors offer an introduction to ESSA, exploring major provisions that have implications for the early learning system. Title I is intended to help ensure that all children receive a fair, equitable, and high-quality education. ESSA brings renewed attention on and, in some cases, new attention to state support for local ECE programs, transition planning between ECE programs and kindergarten, family engagement, and school accountability for what happens in kindergarten through second grade. In states where local districts plan to use Title I resources to support early education, they must explain how they will support this work. States could discuss investments to build capacity for quality at the local level. They could provide guidance to local districts highlighting the various uses of Title I for direct services, but also provide comprehensive services and supports such as developmental screenings, home visiting, nutrition and transportation services, and supports for social-emotional development. States could also produce resources to inform the development of agreements between local education agencies and Head Start programs—which are required under ESSA—as well as with other early childhood programs. States could address the needs of DLL children through state partnerships that improve the preparation of their teachers and caregivers. Support local school districts, schools, and other early learning programs in fostering smoother transitions. Improve support for the workforce in order to improve teaching and learning. Include pre-K and/or the K-2nd grades in school accountability metrics and include a focus on early learning in the school improvement process. Better align of state and local planning and implementation for all of early learning. Improve screening and assessment for DLLs. ESSA maintains the requirement for annual state and school district report cards. State and district report cards must now include the number and percentage of children enrolled in preschool programs, which could broadly include the number and percent of children in “early childhood programs.” States can also include a number of other items such as data points on the school readiness of kindergarten students, QRIS participation, more detailed information on which children are served by what ECE programs, and early childhood teacher qualifications. For local Title I plans, ESSA requires school districts that do opt to use Title I funds for early education programs to explain how they will support, coordinate, and integrate Title I services with programs offered by local school districts or individual schools. One key opportunity for greater alignment are the provisions in Title I related to alignment and coordination with Head Start programs. For example, local Title I plans must include a description of how LEAs will “support, coordinate, and integrate” services with Head Start to facilitate smoother transitions between Head Start and public school programs. While districts have always been expected to coordinate with Head Start programs to improve children’s transitions, ESSA now also requires that districts develop agreements with Head Start programs and, to the extent possible, with other early education programs as well. These agreements should include at least the following activities: transferring children’s records, including home language surveys and other assessments of the home language; establishing channels of communication for coordination; conducting meetings with teachers (from Head Start or other early education program and the elementary school) and parents to discuss the specific needs of children entering kindergarten; organizing joint-transition related training; and linking educational and Head Start services. Emphasize quality for disadvantaged infants, toddlers, and preschoolers. Develop plans to improve transitions and help sustain and build upon children’s learning prior to kindergarten. Establish schoolwide Title I programs for young DLLs. Title II is in place to help ensure that adults have what they need to deliver strong learning opportunities for all students, primarily through professional development for teachers. For the first time, early childhood educators are included in the definition, which means that teachers of young children can be included, whether they are teaching in a community or school setting. Provide targeted and joint professional development including early childhood educators. Support opportunities to address the transition to elementary school. Improve principal understanding of how young children learn and how best to support kindergarten through third grade teachers as well as any pre-K teachers under their direction. Districts are also allowed significant discretion on how to use PD dollars under the law. Key allowable activities include providing opportunities to ensure that teachers and leaders understand how children in the early grades learn best and how to measure their progress as well as how to assist school staff and others better meet the needs of young students. Districts could also use these dollars to expand best practices on family engagement and to build teacher ability to work with DLL children. LEARN places a priority on evidence-based literacy activities. For purposes of early education under LEARN, funds flow from the SEA to the LEA, early education programs directly, or a combination. States have an opportunity to reserve up to 5 percent of the available funds for work such as providing technical assistance to local grantees (including but not limited to local school districts); coordinating with higher education to improve teacher preparation in literacy instruction; updating licensing standards for literacy; and making information about promising approaches available to the public. ESSA provides for new partnerships with the health care community focused on young children’s language development. It allows for a new national program for pediatric literacy, modeled on existing, effective programs such as Reach Out and Read. Through this provision, the U.S. Department of Education can make available funding to medical providers who have been trained in research-based early language and literacy promotion and who, in the course of their well-child visits—starting with babies—provide families with books and support for reading aloud to their children. promote parent, family, and community participation in these language instruction programs. Much like the rest of ESSA, Title III is more explicit about inclusion of early learning programs serving DLLs than the previous law. While Title III funds could always be used for DLLs beginning at age three, the new law includes early childhood programs and teachers as part of the core purpose of Title III. Title III can be used to support the development and implementation of effective preschool language instruction programs funded by LEAs, including new preschool programs, as long as the use of funds is supplementary and the funds are prorated proportionally to the number of DLLs in the program. Both Title I and Title III include provisions geared toward promoting family engagement. Title III mandates that LEAs conduct outreach to families of DLLs in grades K–12 and develop state plans with their input. Under the law, parents must also be notified of a child’s identification as a DLL within 30 days and provided with information on level of English language proficiency, the instructional program the child will be in, and their right to decline language services, among other items. Title III funds can also be used to provide English as a Second Language classes for parents and families, family literacy activities, home visiting, and family outreach activities, such as family reunification support groups. It is important to note that these services can be made available to families before kindergarten. Title III’s National Professional Development (NPD) grant program provides competitive grants to Institutes of Higher Education (IHEs) and partner LEAs for the purpose of PD and training for pre-service and in-service teachers. Similar to Title I provisions requiring improved coordination and transitions among early childhood and K–12, LEAs that receive Title III funds must coordinate activities and share data with early childhood programs, including early childhood programs in community-based settings. ESSA has a new section on preschool development grants. This is a brand-new component of ESSA. 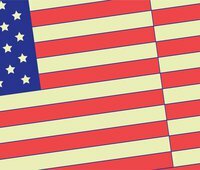 While there was a previous grant competition with the same name, which provided start-up or expansion funds to 18 states, ESSA articulates a new framework for the federal approach to preschool. maximize parental choice among a mixed delivery system of early childhood education program providers. There are several points that should inform further guidance for implementation. First, ESSA appears to emphasize the importance of a mixed delivery system unifying child care, pre-k and Head Start, to support preschool service delivery. This is consistent with the definition of early childhood education noted earlier that includes all three of these programs. Second, ESSA focuses on partnerships not only for service delivery, but also to assure coordination and to make for a smoother experience for families, children, and providers in working together in a systematic manner. ESSA also low-income and disadvantaged children as the key beneficiaries of resources coming to states under the law. Finally, as in other parts of the ESSA, there is a focus on transition from early childhood education—specifically, from pre-K—into the local elementary school. The inclusion of early childhood education (ECE) in the latest iteration of the Elementary and Secondary Education Act is nothing new. The law has long recognized the importance of children’s earliest years. Few dollars, however, are invested by states and local school districts in early learning services and programming. K-12, and arguably, 3rd through 12th, are the focus of investments. Overall the law encourages states and school districts to focus on children’s education from third grade on. While this overall emphasis has not drastically changed, attention to children’s early years and grades has grown. ESSA brings a new opportunity for states and localities to rethink investments in children's learning to include programs and services that take place well before children enter a kindergarten classroom more strategically. In most places, though, this will not come naturally. Considering how to use ESSA dollars to improve teaching and learning in pre-K and toddler classrooms, or even in kindergarten classrooms may not be a top priority. Ensuring early educators are prepared to use appropriate and effective instructional strategies for supporting DLL language acquisition and to help increase the number of bilingual teachers may not be seen as a top need. Incorporating indicators into school accountability systems that reflect the importance of learning in the early grades may seem too daunting a task. It will require strong voices from the early childhood community, sound ideas and strategies, and promising evidence of outcomes for children to spur state and school district leaders to include – in an intentional and meaningful way – early learning not just in their ESSA plans but also in their larger vision for education.